The 2016/2017 NBA season tips off Tuesday night. The reigning champions Cleveland Cavaliers will host the New York Knicks while the runner up Golden State Warriors will take on their biggest threat in the Western Conference as the San Antonio Spurs pay a visit to the Bay Area. Our world class NBA handicappers brought their clients plenty of profits last season, and none more than Teddy Davis who finished the season with a spectacular 212-141 record for a 15.9% ROI and $60,640 in earnings for his $1000/game followers. You can get Teddy Davis’ NCAAB/NBA COMBO HARDWOOD PASS for just $699.99, a package that will give you every single College Basketball and NBA throughout the whole season. The best value you could simply ask for. Time to get things rolling as the NBA season is here. Zack has one play diagnosed to profit on. Zack finished last season with a 129-91 record and $32,010 in profits, good for No. 3 on our NBA leaderboard. Ricky Tran is on an impressive 179-134 (57%) run over his last 317 NBA picks! Join the same handicapper that has made $1,000/game bettors $31,320 since November 08, 2015 with his play on Spurs v. Warriors! Bobby Conn is on an IMPRESSIVE 100-64 (61%) run over his last 165 NBA picks! He has earned $1,000/game bettors$30,680 since December 17, 2015! Now it’s your turn! Join him with his Jazz v. Blazers spread and cash in big today! The Golden State Warriors were unstoppable for most part of the regular season last year, particularly at home, but they came up short in the finals losing to the Cavs in seven games. They’ll be hungry for revenge, and they’re coming off a dominant preseason. The Warriors have strengthened their already NBA-best offense with Kevin Durant from OKC during the offseason, and I think they’ll win big when hosting the San Antonio Spurs in the season opener Tuesday night. The Warriors are 12-4 ATS in their last 16 home at Oracle Arena and they’ll face a Spurs team that might not be quite as strong as in previous years. San Antonio has lost future Hall of Famer Tim Duncan to retirement, and guard Danny Green is expected to miss the first three weeks of the season. I don’t think the Spurs can match up with the Warriors here in the season opener. Mike Lundin finished last season on a FANTASTIC 175-143 (55%) run with his NBA picks! 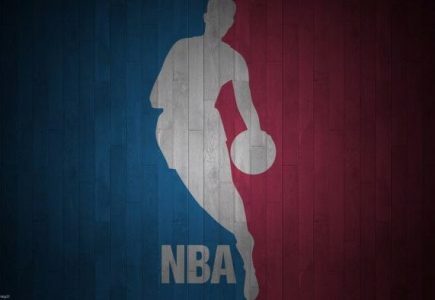 $1,000/game betting clients of his NBA service plays have turned a profit of $19,030 since December 12, 2015. Join Mike’s winning team on Opening Night of the NBA with his *HARDWOOD HAMMER*!